Do dysfunctional positive emotions really exist? Are they related to irrational beliefs? Are they qualitatively different from functional positive emotions? What are the main characteristics of their dysfunctionality? These are several questions this study tries answer. With few exceptions, positive emotions have been quite neglected in fundamental research and also in the clinical domain. It is probable that this neglect has been caused by the negative emotions prototype in therapy, limiting research of positive affect disturbance to a few conditions such as bipolar disorder and some personality disorders. To our knowledge there are few studies investigating the possible negative impact and disturbances of positive emotions in healthy and clinical individuals. Positive psychology makes a strong claim on this issue (Seligman, 1990; Frederickson, 2003). There is some data in cognitive psychology research regarding the characteristics and influence of positive affect such as unrealistic expectations, cognitive flexibility, enhanced creativity and decision making, (Ashby et al., 1999, 2002), recall of neutral and positive material (Isen, 2001), rate of moving toward a desired goal and shift of attention and effort to other behavioural domains (Carver, 2001, 2003), positivity offset (Cacioppo & Gardner, 1999), appraisal components (Lazarus, 1991) and enhanced verbal working memory (WM) performance (Gray, 2001), but no serious investigations of cognitive factors involved have yet been conducted. Whereas we are gaining insight concerning cognitive factors involved in anxiety, depression, anger and other negative emotions, little is known about cognitions involved in positive affect. Ellis’ cognitive theory of emotions argues that, as a function of meeting demands or preferences, we have two types of positive emotions: dysfunctional and functional positive emotions (Ellis & Dryden, 1997). Negative emotions arise when preferences or demands are not met. This theory is very important because it points out to cognitive factors that should be modified in order to change a dysfunctional emotion into a functional emotion, and stresses the adaptive function of emotions. In REBT (rational emotive behavior therapy), the term “dysfunctional” refers to something that does not help individuals achieve their goals (Ellis & Dryden, 1997). By investigating dysfunctional aspects of positive emotions we make a first step in understanding cognitive factors like absolutistic evaluations in positive emotions, and possible disturbances that usually run undetected, but impede a person from achieving his/her goals even in the context of positive emotions. The main assumption of the REBT theory of emotion formation is that emotions which result from rational beliefs (RBs) are distinct from those mediated by irrational beliefs (IBs), and that this distinction is rather a qualitative than a quantitative one (Ellis, 1994; Ellis & Dryden, 1997; David et al., 2002). The first component addresses the difference between functional emotions, and dysfunctional emotions, and states that the difference consists in their quality rather than in their intensity. While both functional and dysfunctional emotions range in intensity from mild to severe, they differ in their quality. The second component states that IBs and RBs are involved in emotion formation, and that RBs are associated with functional emotions, while IBs are associated with dysfunctional emotions. However, there is insufficient experimental support for the idea that IBs and RBs, as described by Ellis, (1994) mediate emotion formation (Bond & Dryden, 1996). REBT focuses on a special type of beliefs, namely irrational (evaluative/hot) beliefs. These are the main constructs in Ellis’ cognitive theory of emotions (Ellis, 1994). There are four categories of irrational thinking processes (David et al., 2002): demandingness (DEM), awfulizing/ catastrophizing (AWF), low frustration tolerance (LFT), and global evaluation of human worth and self-downing (SD). The counterparts of IBs are RBs: (1) desires rather than demands; (2) moderate evaluation of badness rather than awfulizing; (3) statements of tolerance rather than low frustration tolerance; and (4) acceptance of fallibility rather than global evaluation of human worth and self-downing (David et al., 2002). Emotions that follow IBs about positive events are called dysfunctional/maladaptive positive emotions (e.g., elation after learning that your work was praised by all the graders, related to the belief that “Everyone MUST only say positive things about me, and they have”) (David et al., 2002). Emotions that follow RBs about positive events are called functional/adaptive positive emotions (e.g., happiness). According to REBT, dysfunctional emotions are rather qualitatively than quantitatively different from functional emotions. They differ in their cognitive content, not in their intensity (Ellis, 1994; Ellis & DiGiuseppe, 1993; David et al., 2002). How can the qualitative distinction between functional/ dysfunctional emotions be tested? First of all, it is well accepted across many theories of emotions that there are four important dimensions to emotions: (1) subjective experience, (2) behavioral predisposition/social expression, (3) physiological arousal and (4) a cognitive dimension. Physiological arousal varies only quantitatively, but the other dimensions can vary both quantitatively and qualitatively (Ellis & DiGiuseppe, 1993; see Ashby et al., 2002 for a different perspectives on arousal). If someone looks for qualitative differences between dysfunctional and functional emotions, these dimensions are the best providers. Ø Individuals can differentiate between dysfunctional and functional negative emotions by the phenomenological dimension. This study aims to investigate the dysfunctional/functional dissociation of positive emotions considering their associated dysfunctional consequences. One dimension of dysfunctional consequences included in this study refers to the emotional inhibitory ability, understood as context inappropriateness. It is largely assumed that individuals with different types of pathology have a deficient executive control in common (Elliot, 2003; Murphy et al., 1999; Phillips, Smith, & Gilhool, 2002; Davidson et al. 2000a, 2002). This deficiency is reflected, among other things, in ruminative tendencies (i.e. individuals showing incontrollable thoughts not only for negative but also for positive stimuli) (Wood, 2003), and context inappropriateness, (i.e. experiencing of emotions in contexts that have no relevance to the individual’s goals). These results are obtained mainly from neuroscience studies on emotions in a range of disorders like depression (Drevets, 2000; Murphy, et al., 1999), anxiety disorders (Quirk & Gehlert, 2003; Davidson et al., 2002; Rosenkranz & Grace, 2001; Quirk et al., 2000), anger (Davidson et al., 2000b), and mania (Murphy et al., 1999). Another source that argues for context inappropriateness as a dysfunctional consequence comes from clinical practice, being used as a diagnostic marker of mood disorders: “Depression or mania is diagnosed when sadness or elation is overly intense and continues beyond the expected impact of life stressors or arises in the absence of a stressor.“(The Merck Manual of Diagnosis and Therapy, Beers & Berkow, 1999). In sum, data from neuroscience research have shown that what makes the difference between functional emotions (sadness, fear, irritation etc) and dysfunctional ones (depression, panic, anxiety, anger, mania etc) is the fact that individuals experience emotions in irrelevant contexts and cannot relearn that some stimuli are no longer associated with aversive (salient) consequences, or with the loss of the reward value. (Davidson et al., 2000a; Rolls, 2000; Drevets, 2000). These emotions, with all their dimensions, are carried out in irrelevant contexts. The same relation can be found in the pathology of positive mood (Newman, 2002). What is functional and what is dysfunctional in positive emotions? To answer this question, it is first necessary to make the distinction between two types of positive emotions, considering their associated cognitive contents and behaviors: “approach related positive emotions” (pre-goal attainment positive emotions) and “consummatory related positive emotions” (post-goal attainment positive emotions). Studies from cognitive and neuroscience research have provided us with mixed evidence regarding the cognitive influences of positive emotions. There is a pattern of opposite directions with respect to the evidence of the impact of positive emotions on WM (working memory), inhibitory control, exploratory behavior, unrealistic thinking, startle response and their neural substrates. The same pattern has been observed with regard to action tendencies associated with positive affect. There is anecdotic evidence that some positive emotions (e.g. joy) are associated with a broadening in action repertoires while others (e.g. contentment) with a narrowing in action and behavioral tendencies (Frijda, 1986; Lazarus, 1991; Fredrickson, 1998). One distinction that gains increasing support considers two types of positive emotions: approach related emotions that are associated with expectations of reward and arise as a person moves progressively towards anticipated goals, and consummatory positive emotions that are associated with reactions to the presence of reward and attainment of personal goals. This distinction that comes mainly from neuroscience research has been made more or less explicitly by theorists under the terms of seeking/consummatory distinction (Luciana, 2001; Panksepp, 1998; Depue & Collins, 1999), pre-goal and post-goal attainment emotional states (Davidson et al., 1998; Skolnick & Davidson, 2002; Gray & Braver, 2002), appetitive/consummatory states (Knutson et al., 2001; Knutson et al., 2003), incentive wanting and liking states (Berridge & Robinson, 1998), distal and end-states of emotion (Cacioppo & Gardner, 1999). It is not in the objective of this paper to review the evidence for this dissociation but it needs to be considered in studies of positive emotions when we work with thinking and behavioral dimensions associated with emotional experience. Approach related positive emotions (pre-goal attainment positive emotions) are associated with an increase in active maintenance of information in verbal WM (Gray, 2001), an increase in executive control dependent performance and an increase in creative performance (Ashby et al., 1999; Ashby et al., 2002). Consummatory related positive emotions (post-goal attainment positive emotions) are associated with impairments in executive processes (memory mood induced effects on performance on the Stroop and Tour of London tasks) (Phillips et al., 2002; Phillips, Smith, & Gilhool, 2002), and in the active maintenance of information on the verbal WM span task (Spies, 1996 apud Phillips et al., 2002). Approach related positive emotions are associated with an increase in active and defuse exploratory behavior (Luciana, 2001; Depue & Collins, 1999; Carver, 2003). Consummatory related positive emotions are associated with a reduction in exploratory behavior, an increase in localized behavior of consuming rewards (Frijda, 1986; Luciana, 2001; Depue & Collins, 1999) and facilitation of automatic responses like global facilitation by positive mood induction in a global/local visual decision task (Fredrickson, 2003). In sum, at least two different types of positive affect have been found to be related to different cognitive and behavioral patterns that mediate the adjustment of individuals in their interaction with the environment. Pre-goal attainment positive emotions are associated with behavioral tendencies that help individuals in pursuing their goals while post-goal attainment emotions are related to behavioral tendencies that enhance the “consuming” of rewards and reduce exploratory behavior. High levels of approach emotions and associated behavioral tendencies when individuals meet their goals could be dysfunctional because they maintain individuals in an exploratory mode without integrating new achievements (see Fredrickson, 2003- regarding the function of positive emotions). Upon reaching a desired goal, some individuals will immediately replace the achieved goal with a new desired goal, and therefore will have little opportunity to experience post-goal attainment positive affect, or contentment (Davidson, 1998). Also high levels of post goal emotions when individuals move toward goals could reduce motivation, block goal achievement or switch between goals before their attaining. The balance between pre-goal and post-goal positive emotions may be an important factor contributing to mental health (Davidson, 1998). Even if we have mixed positive experiences (both approach-related and consummatory) in natural situations, experiencing high post-goal attainment related affect and displaying associated cognitive and behavioral tendencies in approach related situations, distal to anticipated goals, and/or experiencing high pre-goal or approach related affect and displaying associated cognitive and behavioral tendencies when meeting rewards or attaining anticipated goals, may hamper our goals. b) pre-goal attainment dysfunctional positive emotions referring to high levels of post-goal attainment positive emotions when anticipating and moving toward goal attainment. Our focus in this study refers to the functional/dysfunctional aspect of positive emotions before goal attainment, in response to cues that predict rewards, and post-goal attainment, after subjects meet their goals, and to their relations with demandingness, dysfunctional inferences, experiencing positive emotions in irrelevant contexts, and arousal. A preliminary study (N=21) has shown that when subjects recall an event when their goals were met, highly demanding individuals have higher levels of dysfunctional inferences and pre-goal attainment emotions than low demanding individuals, and a pattern of low levels of post-goal attainment positive emotions (contentment, happiness, satisfaction, fulfillment) compared with low demanding subjects. However, the results of this preliminary study were biased by a masked variable, as several subjects recalled positive emotions associated with unexpected positive events. The present study was designed to exclude the masked variable in the preliminary study, namely the unexpected positive events recalled by subjects. Several modifications have also been introduced: an arousal and a dysfunctional positive inferences measure, and 3 items measuring state demandingness, preference, and global evaluation of positive of events (i.e. “What has happened is wonderful”). These measures aim to investigate the relations between different types of cognitions and the dysfunctional positive emotions distinction proposed here. It is hypothesized that in the post-goal attainment condition highly state demanding subjects will have higher levels of pre-goal positive emotions than low state demanding subjects. We are also interested in the difference between highly demanding and low demanding subjects in the pre-goal attainment condition and in the relations between evaluative cognitions and pre-goal and post-goal emotions when subjects anticipate a positive event or after they achieve a personal goal. Thirty-five undergraduate students enrolled in an introductory psychology course at the Babes-Bolyai University, Cluj-Napoca participated in the study. Their ages ranged between 18 and 26 years of age. Students participated as partial fulfillment of a course requirement. After reading and signing an informed consent form, participants completed the questionnaires and were then offered verbal debriefing of research goals. Subjects had to recall important positive events in two conditions. In the first condition participants were instructed to recall a particular past event when they had attained an important goal and to write an open-ended description of the event and the reactions following it before completing the questionnaires (post-goal attainment situation). An hour later, in the second condition, participants were instructed to recall a particular past event when they knew they would attain an important goal and to write an open-ended description of the event and their reactions before completing the questionnaires (pre-goal attainment situation). At the end they completed the ABS scale. Forms were identical for all subjects. Examination of the descriptions indicated that participants were able to recall an appropriate pre-goal attainment and post-goal attainment situation with the exception of 9 participants (recalling an unexpected event) that were excluded from the post goal condition, and 4 in pre-goal attainment condition. Based on state demandingness average scores, subjects were separated in two groups: highly demanding group with scores higher than the average, and low demanding group with scores lower than the average. Demandingness/preferences scales. The ABS II (Attitude Beliefs Scale) demandingness scale (Romanian version – Macavei, 2002) was used in this experiment to measure trait demandingness. Emotions. Emotions experienced after the described event were assessed with the PANAS scale, including items related to pre-goal, post-goal attainment emotions and arousal. 4 items measured arousal (e.g. active, aroused, energized), 4 items measured post-goal attainment positive emotions (e.g. satisfaction, contentment, happiness and fulfilment) and 5 items assessed pre-goal attainment positive emotions (e.g. interested, excited, desiring, gladness, joy). Cronbach’s α coefficients for the pre-goal attainment condition were as follows: α = .86 for pre-goal emotions; α r = .94 for post-goal emotions, and α = .91 for arousal. Cronbach’s α coefficients for ther post-goal attainment condition were: α = .88 for pre-goal emotions; α = .93 for post-goal emotions and α = .89 for arousal. Dysfunctional positive inferences: a measure comprising 8 items was elaborated for assessing disfuntional positive inferences. Subjects had to rate each item on a 5 points Likert-type scale, evaluating the extent to which they had each of the 8 thoughts in the situation they had described. (e.g. I’m the best at everything I do; Nothing can stop me; I don’t need anyone to succeed; I will succeed in everything I do; I need nothing in order to succeed; I’m the best; Nothing can stop me from getting what I wan, I need nobody in order to achieve my goals; I knew this would happen; Because I feel good everything is good; Things are this way only because of me;). These assertions refer to unrealistically positive self-evaluations, exaggerated perceptions of control or mastery, and unrealistic optimism including overgeneralizations, labeling, fortune telling, internal global attributions. Cronbach’s α coefficients were as follows: α = .79 for the pre-goal attainment condition, and α = 77 for the post-goal attainment condition. State cognitions measures: comprised 3 items. Subjects had to rate each item on a 5 points Likert- type scale assessing the degree to which they had each thought in the situation they had described. These items were elaborated by analogy with the ABS scale items, but reformulated for positive events. “Even though I would very much like things to go this way, they don’t necessarily have to happen this way. GRP (global rating of positivity) was reflected in the global evaluation of the event as being wonderful. This item was elaborated as an analogy of the “awfulizing” type evaluation in the REBT theory of negative emotions, to have an idea of how such a global evaluation can play a role in positive emotions. Context inappropriateness: comprised 3 items, including the degree of ruminative tendencies, one item, and two items measuring the experience of emotions in the context of other goals than those relevant to the experienced emotion. Evaluation was made on a 5 points Likert-type scale for each item (1. My mind was overridden by uncontrollable thoughts about that situation; 2. I had the same emotional state when I was doing other totally different things; 3. I continued to do the things that made me feel this way even though I had other important things to be done). How do highly demanding and low demanding subjects differ with respect to pre-goal and post-goal positive emotions, dysfunctional inferences, and arousal? The Mann-Whitney test was used for inter-groups comparisons. In the post-goal attainment condition subjects high in state demandingness had significantly higher levels of pre-goal emotions and dysfunctional inferences (p< .05) compared with the low state demandingness group. Although they also report higher levels of arousal, and context inappropriateness, these do not reach a significant level. It is possible that a larger group would clarify these differences. In the pre-goal attainment condition no significant differences were observed between arousal, post-goal emotions and pre-goal emotions between the high and low DEM groups. The Mann-Whitney U test was used to compare the two groups. Although no significant differences were observed, the high DEM group showed a higher level of post goal emotions (high DEM: mean=13,16, low DEM: mean= 11,27) and dysfunctional inferences than low DEM subjects (high DEM: mean =19,27, low DEM: mean= 15,45). We believe a larger sample would clarify if the high dem group has a high level of post-goal positive emotions such as satisfaction, contentment, happiness and fulfilment when they anticipate attaining an important goal. Inferences and state demandingness are positively related to each other (r= .58, p< .01), and positively, but not at a significant level, with the global rating of positivity (r= .18, p> .05; r= .21, p> .05). Arousal positively correlates with both types of positive emotions, with pre-goal emotion intensity (r= .60, p< .01), and post-goal emotion intensity (r= .61 p< .01). Also both types of positive emotions are positively related (r= .67, p< .01). Partial correlations were used to investigate the role of arousal in the relation between cognitions and positive emotions (table 2). Post-goal emotions are related with context inappropriateness but this relation seems to be mediated by pre-goal emotions. When keeping anticipatory emotions constant, there is no relation between post-goal positive emotions and context inappropriateness. So it is possible that when meeting one’s goals, context inappropriateness is a result of arousal and anticipatory emotions. Arousal positively correlates with both emotional measures in pre-goal attainment condition, with pre-goal emotion (r= .38, p< .05) and post-goal emotions (r= .54, p< .01). Arousal positively correlates with dysfunctional inferences, but not significant level. Table 3. Correlational Coefficients between Cognitions, Positive Emotions, Arousal and Context Inappropriateness in the pre-goal attainment condition. State demandingness positively correlates with inferences (r=. 46, p< .01), with GRP (r= .42, p< .05), and inferences positively correlate with GRP (r= .32, p> .05) but not at a significant level. Partial correlations were carried out to analyze the relations between arousal, cognitions and post-goal emotions. Relations between both demandingness and dysfunctional inferences with post-goal emotions seem not to be affected by arousal. When keeping dysfunctional inferences constant, state demandingness and post-goal emotions show no significant relation (r= .10, p> .05). It is possible that inferences play an important role in the relation between demandingness and post-goal emotions when individuals expect to attain their goals (dysfunctional positive emotions). In both conditions, trait demandingness measured with the ABS scale was negatively related with arousal, pre-goal positive emotions and post-goal positive emotions, but not significantly. In the post-goal condition the correlational coefficients of trait demandingness were as follows: pre-goal emotions r= -.05, p> .05; post-goal emotions r= -.07, p> .05; arousal r= -.22, p> .05. In the pre-goal condition the correlational coefficients of trait demandingness were as follows: pre-goal emotions r= -.40, p> .05; post-goal emotions r= – .35, p> .05; arousal r= -.45, p< .05. Results of our preliminary study suggested that the experience of post goal attainment emotions such as happiness and contentment is reduced in demanding individuals. These results were not replicated in this study using a state measure of demandingness, maybe because of a difference between state and trait demandingness. Trait demandingness was negatively correlated with all measures of positive emotion in both conditions but not significantly (excepting arousal in the pre-goal condition). It seems that state and trait demandingness have different relations with positive emotions. Trait demandingness refers to general evaluations of how much subjects believe they should succeed, be accepted, or be approved. It is possible that such global evaluations relate to positive emotions in a totally different way than demanding how a particular positive situation should be. The negative correlations between trait demandingness and positive emotions may reflect the action of a “dismissing the positive” mechanism in individuals that globally evaluate events in their life as demands. This dissociation should be further explored along with the mechanisms that impact on positive emotions. Results of the present study suggest that the hypothesis according to which highly state demanding individuals experience higher levels of pre-goal attainment positive emotions after meeting their goals (post-goal dysfunctional positive emotions) and higher levels of post-goal emotions when they anticipate the attainment of their goals (pre-goal dysfunctional positive emotions) is not supported by the data. Further investigations and a larger sample are needed to shed light on this issue. Correlational analysis shows that demandingness is positively correlated with pre-goal positive emotions when meeting personal goals, and post-goal positive emotions when anticipating goal attainment, both types of emotions being considered dysfunctional positive emotions. State demandingness is not significantly related to functional positive emotions (i.e. pre-goal emotions when subjects anticipate the attainment of their goal; post-goal attainment positive emotions after meeting the goal). These results are consistent with positive demandingness being an index of a dysregulated approach motivational system. Thus, high pre-goal attainment emotions after attaining an important goal could reflect the persistence of an activated approach system. We don’t know for sure why demandingness is also related with high levels of post-goal positive emotions in the pre-goal condition, but we can assume that a strong activation of the incentive salience system will also activate the consummatory behavior system (Berridge & Robinson, 1998). Another interpretation could refer to a high intensity of pre-goal emotions and arousal that will influence the subjective rating of post- goal positive emotions. Also there are important relations between dysfunctional inferences and arousal, and pre-goal/post-goal positive emotions when subjects meet their goals. Dysfunctional inferences, referring to a biased positive interpretation of the event (e.g. overgeneralization, personalization, positive fortune telling, positive emotional reasoning, inflated sense of power) may impinge on emotions (both pre and post-goal attainment positive emotions) and arousal, by the high positive value they attach to the event (Rolls, 2000). Dysfunctional inferences are not significantly related with pre-goal emotions in the anticipatory condition but with pre-goal dysfunctional emotions. Their relation with pre-goal emotions and context inappropriateness in the post-goal attainment condition is no longer significant after controlling for arousal. So it is possible that dysfunctional inferences are more important for pre-goal dysfunctional emotions; the higher the level of dysfunctional positive inferences the higher the levels of satisfaction, happiness and contentment even when people anticipate attaining a goal. Considering these results, we can assume that inferences are also related with dysfunctional positive emotions in the pre-goal attainment condition. Further research is required to clarify the relations of both inferences and evaluative cognition with dysfunctional positive emotions. If we look at dysfunctional inferences as positive illusions, we can say that higher levels of positive illusions are associated with higher arousal and satisfaction of the individuals when they anticipate meeting or after meeting their goals. Another significant relation is between the global evaluation of the positive value of the event: “It’s wonderful”, and positive emotions, both dysfunctional and functional. This result suggests that the more people make global ratings of the positive value of the event, the higher their pre-goal emotions (they are more interested and excited) and post-goal emotions (they feel more satisfied, contented, fulfilled) when they meet their goals. Is this an irrational evaluation? In order to respond this question from an REBT perspective we should consider the issues from the following points of view: logical, empirical and pragmatical. Logically: it is. Empirically: it is. Pragmatically: we cannot be certain based upon the present study. Global evaluation of positivity is positively associated with dysfunctional inferences, high post-goal dysfunctional positive emotions, arousal, and dysfunctional consequences (positively but not significantly) when goals are met, but also with post-goals functional emotions. These results suggest that when people meet their goals and globally evaluate the positivity of an event, they are prone not only to high satisfaction but also to excitement, high arousal and to neglecting other important goals. The question is how much these dysfunctional consequences are interfering with someone’s life, or with attaining major goals. Partial correlations suggest that the relation with post-goal dysfunctional positive emotions is more a matter of arousal. Consequently, further investigation is needed to establish if global evaluation of positivity is related to higher satisfaction only or also with dysfunctional positive emotions and consequences. One factor that influences positive emotions when goals are met is arousal. Arousal level is typically related to pre-goal attainment positive emotions (Gray & Braver, 2002). It seems that in the post-goal condition, arousal is related both with the level of post-goal dysfunctional positive emotions (excitement, interest, etc.) and post-goal functional positive emotions (satisfaction, contentment, etc). Arousal affects the relations between post-goal dysfunctional emotions, context inappropriateness and different types of cognitions (dysfunctional inferences, DEM, GRP). These results suggest that arousal levels and pre-goal emotion levels seem to be related to impaired focus on important goals, ruminations about the event, and experiencing positive emotions in irrelevant contexts, after meeting a personal goal. Investigations of a causal relation between arousal and context inappropriateness could support interventions in manic disorders by reducing the arousal level (Newman., 2002) and by the effects of this reduction on goals pursuing. Arousal is also related with pre-goal dysfunctional emotions and pre-goal functional positive emotions in the anticipatory condition but does not influence the relations between inferences and pre-goal dysfunctional emotions. It seems that arousal is a global factor that influences both types of positive emotions, dysfunctional and functional, maybe enhancing the effects of cognitions like demandingness which is related only to dysfunctional positive emotions. This study suggests a qualitative distinction between functional and dysfunctional positive emotions, bringing evidence about the dysfunctional nature of certain positive emotions in healthy individuals, and making the distinction of pre/post goal attainment positive emotions with respect to certain types of cognitions such as demandingness. There are several implications and suggestion derived from this study. The first implication for both psychopathology and psychotherapy is the introduction of pre-goal and post-goal positive emotions distinction in relation to cognition, namely demandingness. Further research should clarify the relation between demandingness and these two types of positive affect. Correlation analysis shows that in both conditions demandingness is positively related only with dysfunctional positive emotions but not with functional positive emotions. Another important implication is the pattern of relations between trait demandingness and positive emotions. It seems that trait demandingness is negatively related with both types of positive emotions. By providing evidence for the involvement of a cognitive factor like demandingness in positive emotions, we make an important step in clarifying mild disturbances of positive affect in normals. This study looks at the problem of positive emotions in normals not only as a matter of intensity but also of the quality of positive emotions when individuals attain their goals or anticipate attaining their goals. Considering the importance of post-goal attainment positive emotions for health and well being (Frederickson, 2003), this is a suggestion to be explored in positive psychology. We know that pre-goal attainment positive emotions do not reduce stress effects on the body but post-goal positive emotions do (Skolnick & Davidson, 2002). What happens if we are demanding and experiencing not only post-goal positive emotions but also higher levels of pre-goal attainment positive emotions when we attain our goals? And what happens if we are generally demanding about how things should be in our life? Are we less protected from long-term stress effects? Should we modify our thinking, control arousal and relax? This is a question worth investigating. The REBT theory argues for a positive relation between DEM and positive dysfunctional emotions in the case of positive events. The present results suggest that demanding individuals are prone to experiencing pre-goal attainment positive emotions when they meet their goals, and possibly post-goal emotions when they anticipate attaining an important goal. Second, some positive emotions might be functional in some situations and dysfunctional in other situations. It seems that demandingness, dysfunctional inferences, global ratings of positivity and arousal make a difference in this sense. Experiencing approach related emotions in situations when goals are already met could be dysfunctional for the individual’s resources. Manic symptoms are the extreme reflection of an increased approach related emotional experience (Harmon- Jones et al., 2002), but consistent with this study, this dynamic is also present in normal individuals and demandingness, inferences and arousal make a difference, even if the interference with one’s life is smaller. Also, experiencing a high level of post-goal emotions in anticipation of attaining a goal could be dysfunctional, maybe leading to disengagement or switching goals too early. The present results suggest that positive dysfunctional emotions can be identified based upon two factors: 1) the type of emotion (pre-goal, post-goal) and 2) the situation in which they are experienced: distant from goals in response to cues that predict goal attainment or proximal, after attainment of personal goals. Experiencing high levels of positive affect in the inappropriate context (e.g. pre-goal attainment positive emotions when achieving personal goals, or post-goal attainment positive emotions when anticipating the achievement of personal goals) could be considered as a marker of dysfunctional positive emotions. Thus we have two types of dysfunctional positive emotions: a) pre-goal attainment dysfunctional positive emotions, referring to high levels of post-goal attainment positive emotions when anticipating and moving toward goal attainment, and b) post-goal attainment dysfunctional positive emotions referring to high levels of pre-goal attainment positive emotions after achieving personal goals. State demandingness is positively related only with dysfunctional positive emotions in both conditions, but not with functional ones. Another interesting aspect is the distinct relation of state and trait demandingness with positive emotions. It is possible that trait demandingness restrains the experience of positive affect. Further research is required for clarifying this issue. It is also important to note the role of arousal in dysfunctional positive emotions. Arousal seems to be related with both types of emotions in both conditions, and results suggest that it is also important for the relation between evaluative cognitions and dysfunctional positive emotions. We believe that the role of arousal in dysfunctional positive emotions is another aspect worth investigating. Should positive dysfunctional emotions be the target of therapeutic change? When disputing irrational beliefs in negative emotions, are we also implicitly changing positive dysfunctional emotions into functional ones or are we increasing the experience of positive emotions? Does reducing arousal lead to the control of dysfunctional consequences? These are questions that further studies should investigate particularly considering the fact that positive emotions like happiness and contentment are associated with a significant increase in life expectancy (Fredrickson, 2003). This study is not without limitations. First, the reduced number of subjects imposes strong limitations on the results. Another limitation is linked to the lack of validated scales that measure the variables related to positive emotions considered in this study. This aspect should be taken into account in the interpretation of the results even though this is a pilot study aiming to set the lines for further research. Correlational analysis does not allow us to make causal predictions between demandingness, dysfunctional positive inferences, arousal, positive emotions and dysfunctional consequences. Further research should investigate causal relations between evaluative beliefs, arousal and different types of positive emotions. 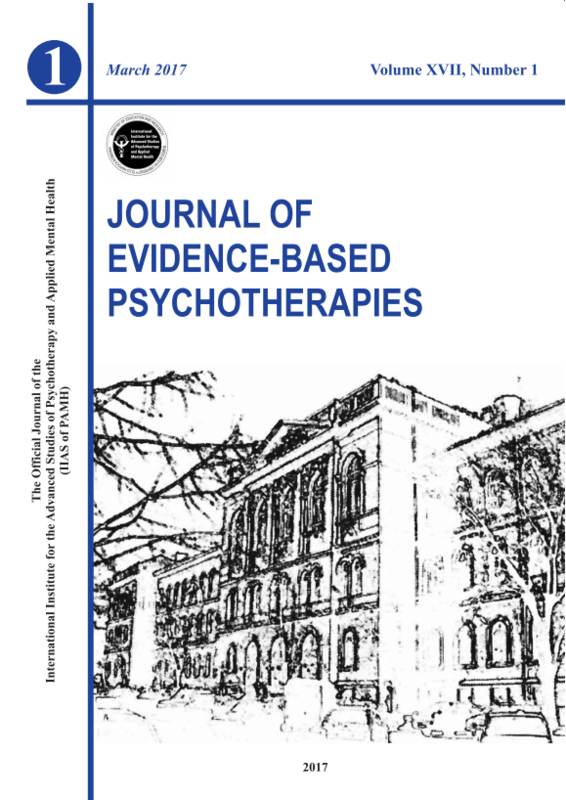 The authors whish to thank Dr. Jeremy Gray for his support, critical readings, and constructive ideas regarding confounds and problems in positive emotion research, and Dr. Daniel David for his support and constructive ideas in REBT theory and research. Ashby, F. G., Valentin, V. V., & Turken, A. U. (2002). The effects of positive affect and arousal on working memory and executive attention. Neurobiology and computational models. In S. C. Moore & M. R. Oaksford (Eds.). Emotional Cognition: From Brain to Behavior (pp. 245-287). Amsterdam: John Benjamins. Beers, M. H., & Berkov, R. (Eds.) (1999). The Merck Manual of Diagnosis and Therapy. Section 15. Psychiatric disorders. Chapter 189. Mood disorders. Merck & Co., Inc.
Berridge, K. C., & Robinson, T. E. (1998). What is the role of dopamine in reward: hedonic impact, reward learning, or incentive salience? Brain Research Reviews, 28, 309-369. Bond, F. W., & Dryden, W. (1996). Why two, central REBT hypothesis appear untestable. Journal of Rational- Emotive & Cognitive-Behavior Therapy, 14, 29-40. Cacioppo, J. T., & Gardner, W. L. (1999). Emotion. Annual Review of Psychology, 50, 119-214. Carver, C. S. (2003). Pleasure as a sign you can attend to something else: Placing positive feelings with a general model of affect. Cognition and Emotion, 17, 241-261. Davidson, R. J. (1998). Affective style and affective disorders: Perspectives from affective neuroscience. Cognition and Emotion, 12, 307-330. Davidson, R. J., Jackson, D. C., & Kalin, N. H. (2000)a. Emotion, plasticity, context and regulation: perspectives from affective neuroscience. Psychological Bulletin, 126, 890-909. Davidson, R. J., Putnam, K. M., & Larson, C. L. (2000)b. Dysfunction in the neural circuitry of emotion regulation- a possible prelude to violence. Science, 289, 591-594. Davidson, R. J. (2002). Anxiety and affective style: Role of prefrontal cortex and amygdale. Biological Psychiatry, 51, 68-80. Depue, R. A., & Collins, P. F. (1999). Neurobiology of the structure of personality: Dopamine, facilitation of incentive motivation, and extraversion. Behav. Brain Sci., 22, 491-569. Drevets, W., C. (2000). Neuroimaging Studies of Mood Disorders: Implications for a neural model of major depression. Biol. Psychiatry, 48, 813-829. Ellis, A. (1994). Reason and emotion in psychotherapy (re. ed. ). Secaucus, NJ: Birscj Lane. Ellis, A., & Dryden, W. (1997). The Practice of Rational Emotive Behavior Therapy. London: Springer Publishing Company. Phillips, L. H., Bull, R., Adams, E., & Fraser, L. (2002). Positive Mood and Executive Function: Evidence From Stroop and Fluency Tasks, Emotion, 2, 12-22. Phillips, L. H., Smith, L., &. Gilhool, K. J. (2002). The Effects of Adult Aging and Induced Positive and Negative Mood on Planning, Emotion, 2, 263-272. Harmon-Jones, E., Abramson, L. Y., Sigelman, J., Bohlig, A., Hogan, M. E., & Harmon-Jones, C. (2002). Proness to hypomania/Mania symptoms and asymmetrical frontal cortical responses to anger-evoking event. Journal of Personality and Social Psychology, 4, 610-618. Knutson, B., Fong, G.W., Adams, C.M., Varner, J.L., & Hommer, D., (2001). Dissociation of reward anticipation and outcome with event-related fMRI. NeuroReport, 12, 3683-3687. Luciana, M. (2001). Dopamine-Opiate Modulations of Reward-Seeking Behavior: Implications for the Functional Assessment of Prefrontal Development. In C. A. Nelson, & M. Luciana (Eds. ), Handbook of Developmental Cognitive Neuroscience. Massachusetts Institute of Technology. Murphy, FC, Sahakian B. J., Rubinsztein, J. S., Michael ,A., Rogers, R. D., Robbins, T. W., & Paykel E. S. (1999). Emotional bias and inhibitory control processes in mania and depression. Psychol Med., 29, 1307-1321. Newman, C. F. (2002). Cognitive therapy for bipolar disorder. In Simos, G. (Ed.). Cognitive therapy. A guide for the practicing clinician (pp. 71-95). Brunner- Routledge. Panksepp, J. (1998). Affective neuroscience. Oxford Press. Quirk, G., J., & Gehlert, D., R. (2003). Inhibition of the Amygdala: Key to Pathological States? Annals of the New York Academy of Sciences, 985, 263-272. Quirk, G. J., Russo, G. K., Barron, J. L., & Lebron, K. (2000). The Role of Ventromedial Prefrontal Cortex in the Recovery of Extinguished Fear. The Journal of Neuroscience, 20, 6225 -6231. Rosenkranz, J. A, & Grace, A. A. (2001). Dopamine attenuates prefrontal cortical suppression of sensory inputs to the basolateral amygdala of rats. The Journal of Neuroscience, 21, 4090-4103. Schultz, W. (2000). Multiple reward signals in the brain. Nature Reviews Neuroscience, 1, 199-207. Skolnick, A. J., & Davidson, R. J. (2002). Affective modulation of eyeblink startle with reward and threat. Psychophysiology, 39, 835-850. Wood, H. (2003). I’m stick with you. Nature Review Neuroscience, 4, 224.